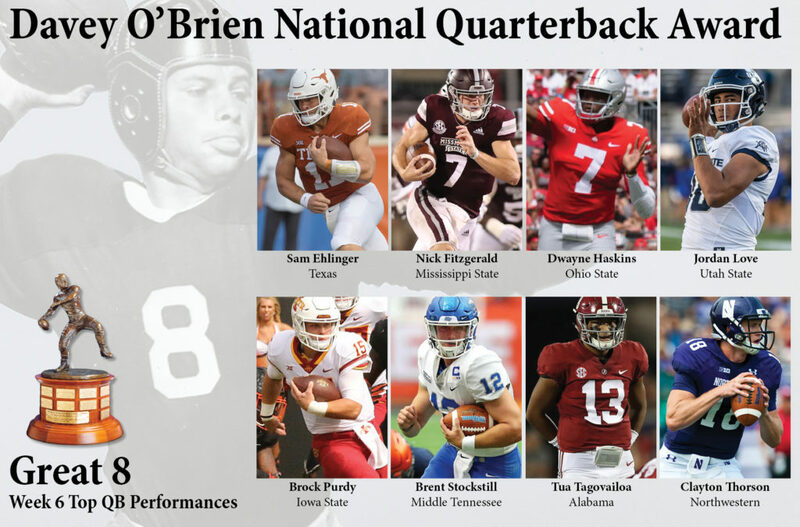 FORT WORTH, Texas (Oct. 8, 2018) – Four sophomores and a true freshman are among the eight quarterbacks named to the Davey O’Brien Award’s week six “Great 8” list, the Davey O’Brien Foundation and Punt & Pass Podcast jointly announced on Monday. 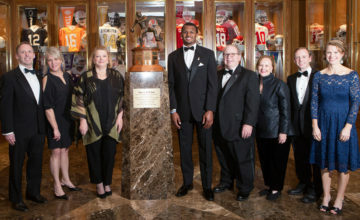 The eight honorees, as determined by voting from the award’s selection subcommittee, are: Texas’ Sam Ehlinger, Nick Fitzgerald of Mississippi State, Ohio State’s Dwayne Haskins, Jordan Love of Utah State, Iowa State’s Brock Purdy, Brent Stockstill of Middle Tennessee, Alabama’s Tua Tagovailoa and Clayton Thorson of Northwestern. All FBS quarterbacks are eligible for the weekly honor. Thus far, 35 different quarterbacks have been named to the Great 8 in 2018. 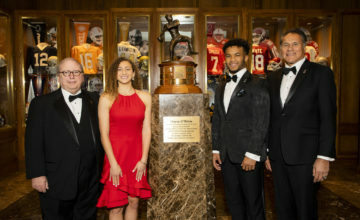 Tagovailoa is now tied for the most honors nationally this season with four, while Haskins (three) and Ehlinger (two) are also multi-time honorees. Totaled five touchdowns (three rushing, two passing) and 386 yards of offense (314 passing, 72 rushing) in a 48-45 victory over No. 7 Oklahoma in the Red River Showdown. 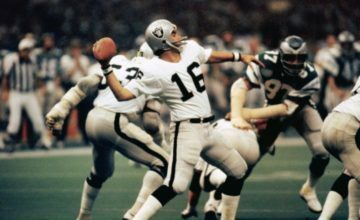 Carried the ball 28 times for 195 yards and a pair of touchdowns, and added 69 passing yards, in a 23-9 upset victory over No. 8 Auburn. Completed 33 of 44 pass attempts for 455 yards and six touchdowns in a 49-26 triumph versus Indiana. Connected on 18 of 28 passes for 165 yards and four touchdowns, and tacked on a rushing score, in a 45-20 win over instate rival BYU. Brock Purdy, Iowa State, Fr., 6-1, 202, Gilbert, Ariz. Totaled 402 yards of offense (318 passing, 84 rushing) and five touchdowns (four passing, one rushing) off the bench in a 48-42 upset at No. 25 Oklahoma State. Brent Stockstill, Middle Tennessee, Sr., 6-0, 215, Murfreesboro, Tenn. Became the 24th FBS player ever with 10,000 career passing yards by throwing for 317 yards (25 of 40) and totaling three touchdowns (two passing, one rushing) against Marshall in a 34-24 win. Threw more touchdown passes (4) than incompletions (3), completing 10 of 13 passes for 334 yards, in just a half of action in a 65-31 win over Arkansas. Clayton Thorson, Northwestern, Sr., 6-4, 226, Wheaton, Ill. Guided Northwestern to a 29-19 upset over No. 20 Michigan State by throwing for 373 yards and three touchdowns (31-for-47) and also rushing for a score.